Eaton is a global provider of innovative, labor-saving support systems and enclosure solutions for engineered facility subsystem applications and operating facilities across the globe. Eaton's B-Line series solutions are used in a variety of settings for the commercial, industrial, utility and OEM markets. Available in easy, single part numbers for application-specific configurations, including network, server and colocation, the new Eaton RS Enclosure provides an easy-to-configure rack solution for IT equipment storage. The Com Dangle™ solution is ideal for ceiling wire applications, and can easily integrate into the ceiling grid with only tie off wire where jurisdiction requires. Eaton's B-Line Business 4Dimension™ strut system changes how installers build and install support systems for electrical, mechanical, plumbing, data centers, and HVAC in new and retrofit commercial and industrial applications. It's unique and different from the traditional 1 5/8" strut because you actually have four side functionality. These revolutionary strut profile designs and innovative accessories help installers compress project schedules and cut costs without sacrificing load while increasing configuration flexibility. With four-sided functionality, the 4Dimension strut system delivers up to 50% savings on materials and installation time. B-Line J-Hook Color ID Clips are ideal for use in data centers and light-duty commercial cable management applications where there is a need for color designation. Ideal for new and retro-fit applications, these simple solutions are designed to snap onto existing B-Line J-Hook products allowing installers and inspectors to verify that cables are running in their correct, designated pathways. Click here to learn more. 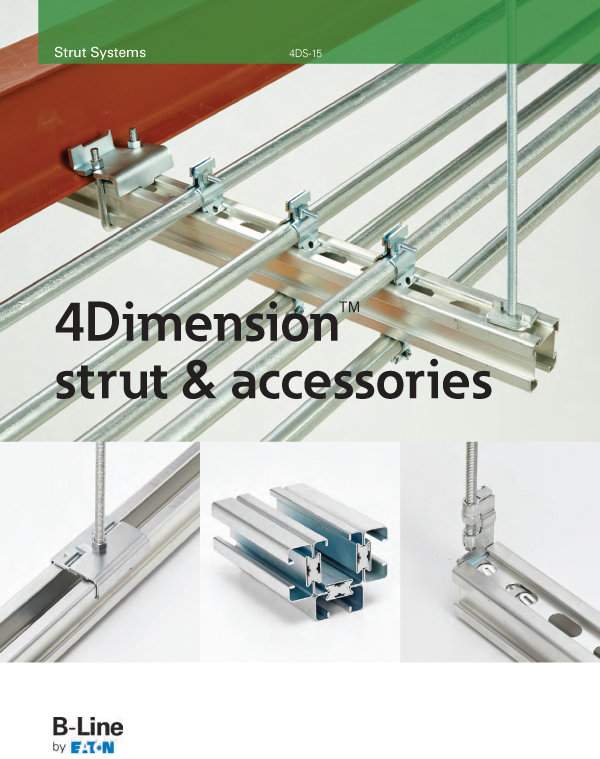 B-Line's 4Dimension Strut System Catalog to find your perfect solution! 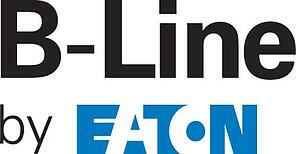 Contact your local Accu-Tech representative to learn more about B-line by Eaton.